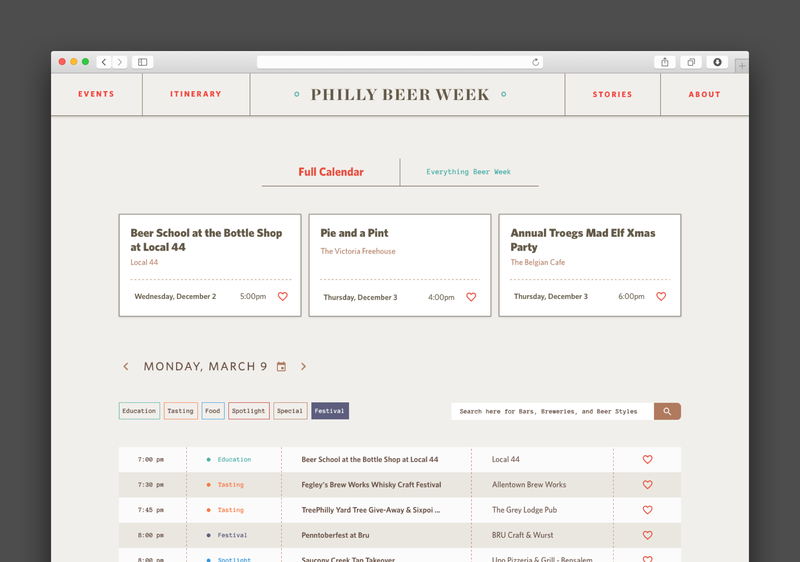 Perfecting travel plans for beer’s biggest week. 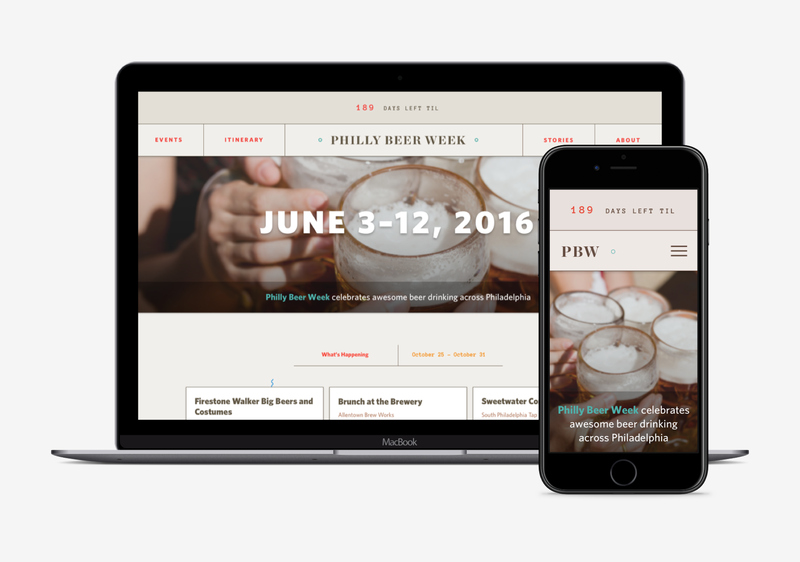 Beer Week in Philadelphia is one of the nation’s oldest festivals of its kind. Unfortunately, making the most of the festival was daunting due to the hundreds of competing events occurring throughout the week. During my interview process with stakeholders, I heard how some of the festivals best events went largely unattended. 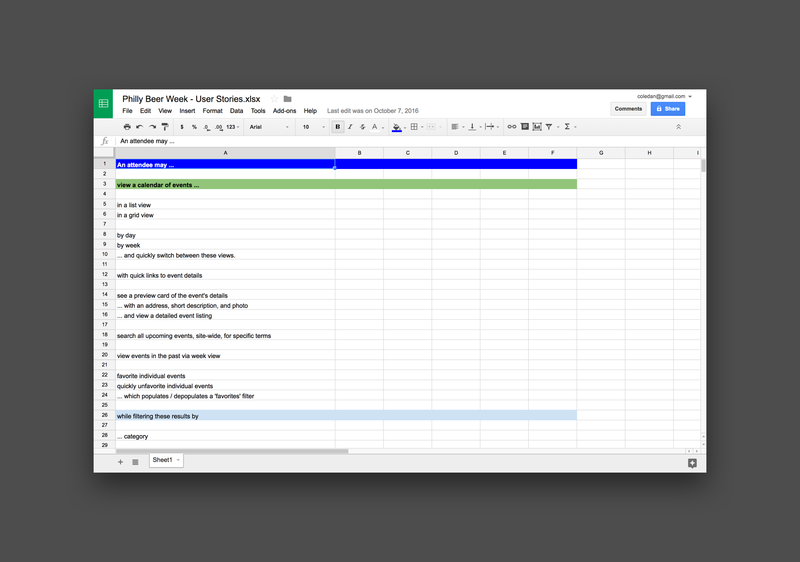 During a workshop with stakeholders, it became clear this issue was the most important problem my team had to solve. 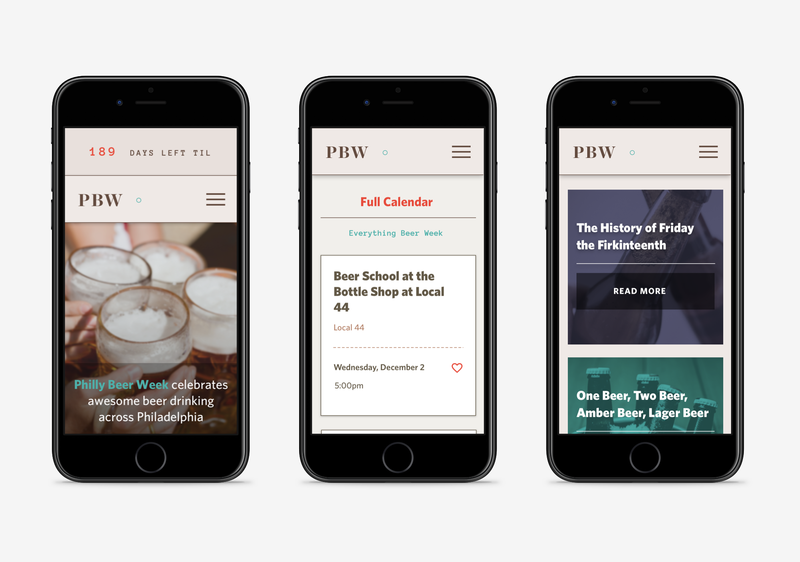 Create a wayfinding system for a festival of Beer Week’s size that encourages attendees to find as many great events as possible. 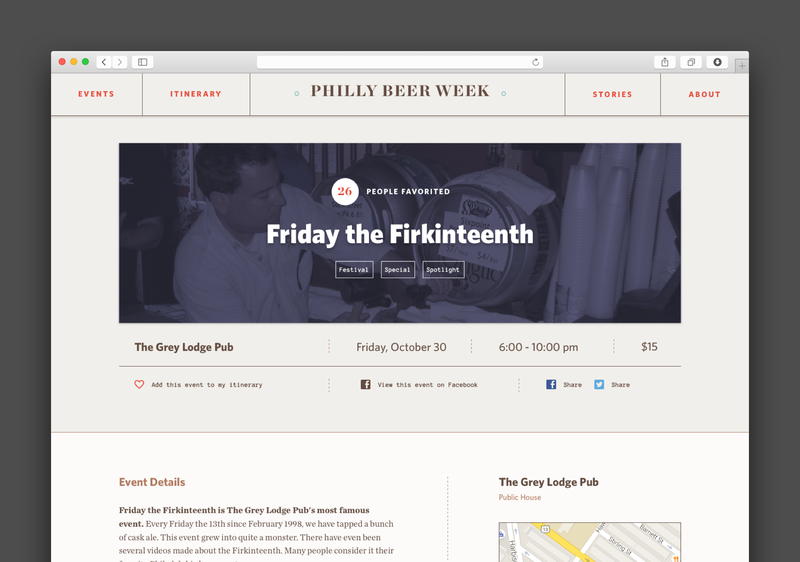 The proposed wayfinding system for Beer Week went beyond a simple marketing website and events calendar. 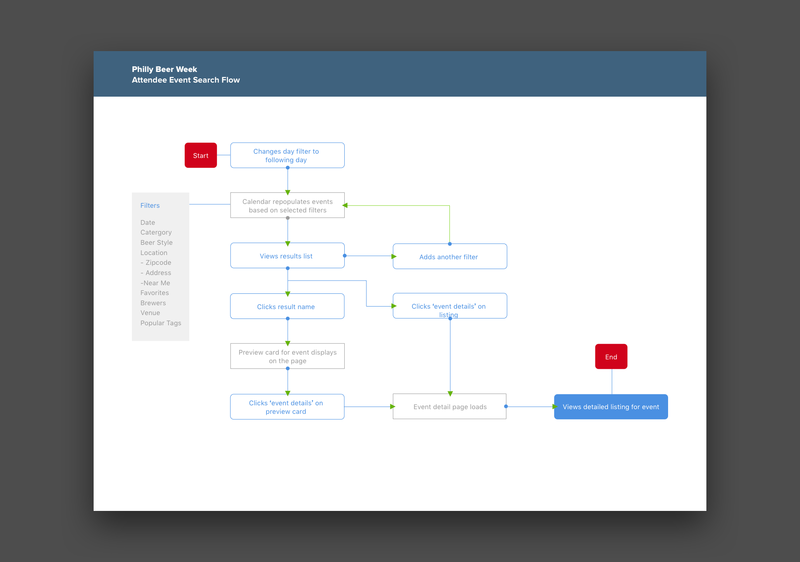 User stories and flows were created in addition to a working prototype. 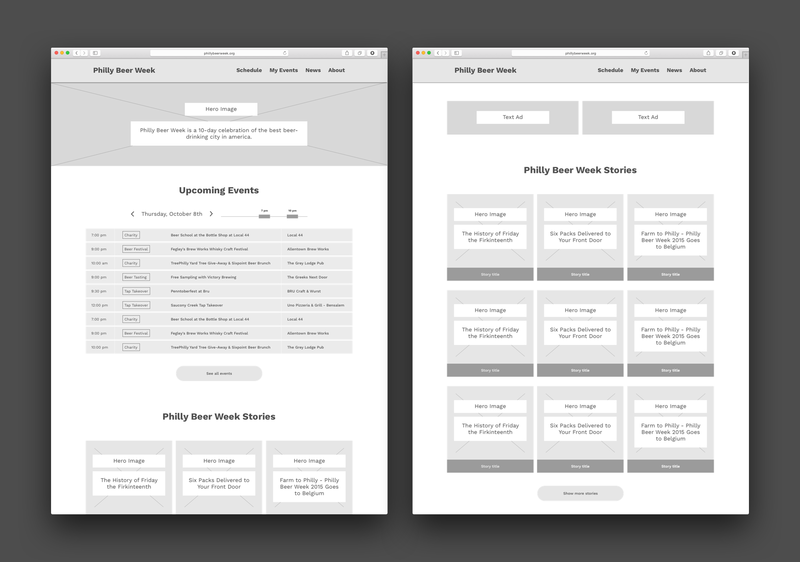 A web application that works to organize events submitted by dozens of independent venues and clarify the value of each event to attendees.